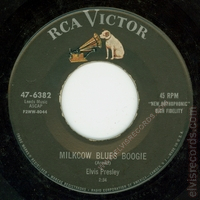 Disc: (12/1955). 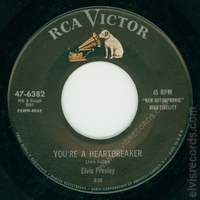 Black label, dog on top with or without horizontal line. 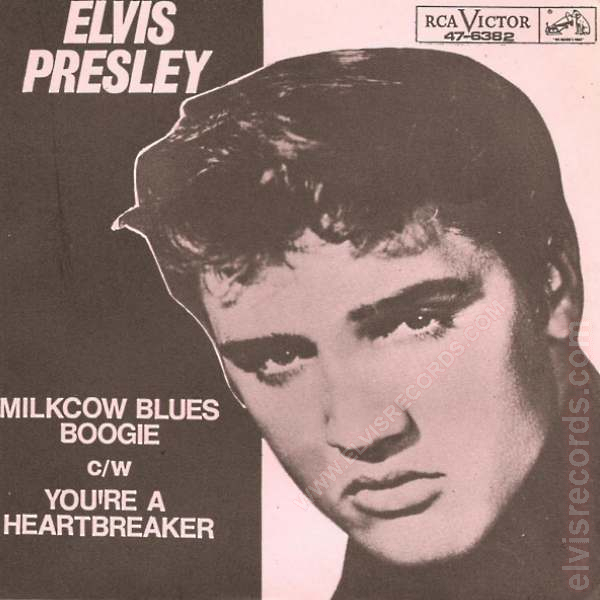 Released in 1956 by RCA Records on 78 RPM as Milkcow Blues Boogie / You're A Heartbreaker. 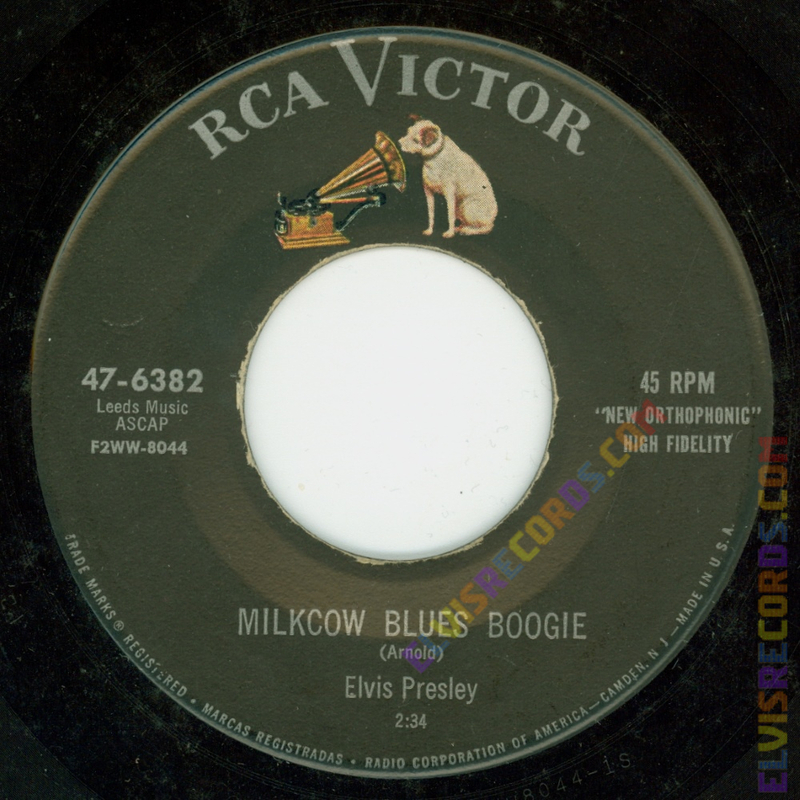 Re-released by RCA Records on 45 RPM as Milkcow Blues Boogie / You're A Heartbreaker on the Gold Standard Series label.